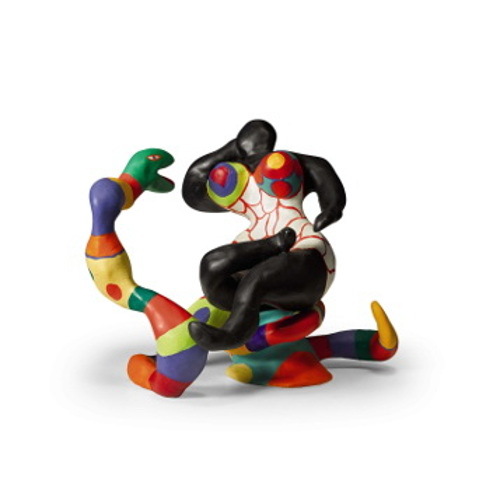 Niki de Saint Phalle, born Catherine-Marie-Agnes Fal de Saint Phalle, in Neuilly-sur-Seine in the Hauts-de-Seine, October 29, 1930 and died in La Jolla, San Diego County, California (United States ) May 21, 2002, is a visual artist, painter, sculptor and director of French films. 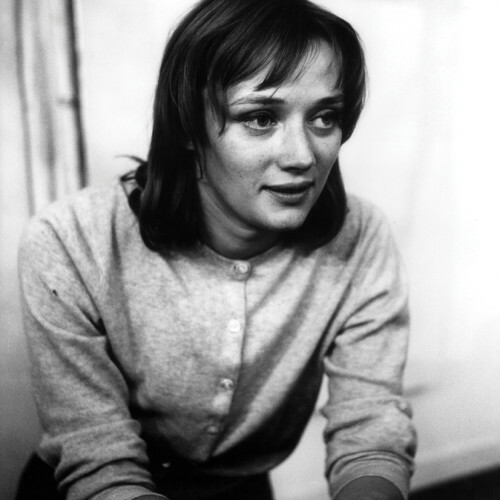 Niki de Saint Phalle was first a model, then a mother before approaching the art self-taught. She did not follow any academic artistic education, wanting to be self-taught, but nourished abundant artistic exchanges with her elders and contemporaries. Inspired by several trends, but most notably outsider art she began painting in 1952. In 1961, she is a member of the group of New Realists, as Gerard Deschamps, César, Mimmo Rotella, Christo and Yves Klein. First wife of Harry Mathews, with whom she has two children, she married in second marriage with the artist Jean Tinguely in 1971. With him, she will realize a large number of architectural sculptures, either on order or for the simple pleasure. Together they realized in France the Stravinsky fountain on state order in Niki, and The Cyclop, Jean’s creation, without a building permit. In addition to shooting, performances that made it internationally famous since the 1960s, Niki has created a large number of monumental sculptures in sculpture park. Some have been made on his own initiative and with his personal funds such as that of the Tarot Garden in Tuscany, or Queen Califia’s Magical Circle, Kit Carson Park in Escondido (California). Others have been commissioned by states, or regions. Notably in Israel in Jerusalem, the municipality commissioned him in 1971 a monster for children, The Golem, inaugurated in 1972 in Rabinovitch Park, which now bears the familiar name of The Monster Park. In 1994, the Jerusalem Foundation awarded him a second commission for the Jerusalem Biblical Zoo. Niki produces a set of animal sculptures entitled Noah’s Ark, which she completed in 1998. Similarly in 1987 François Mitterrand commissioned him the Château Chinon fountain.